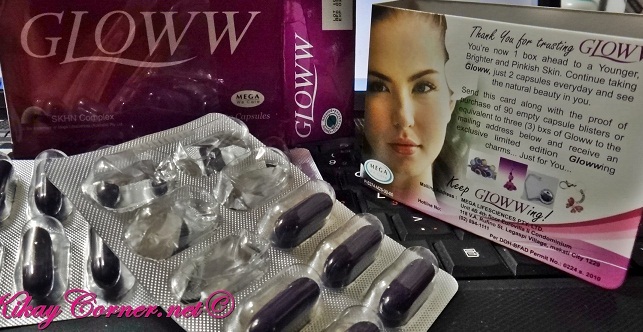 It was last month when I blogged about test driving for myself the skin supplement, Gloww. After a month of using it, I can only say, so far, so good. I love that I can actually get my healthy dose of Marine Protein, Horsetail Extract, Green Tea Extract, Lemon Bioflavanoids, Collagen, Ascorbic Acid, Tomato and Grape Seed Extract via this particular supplement. As Gloww Skin Supplement consists of SKHN Complex – Complete skin nutrient for radiant and glowing skin everyday, my expectation is for it to pump up my body’s defenses so that my skin can work against hostile assailants like UV rays, pollution, imbalanced diet. I think it is doing a fine job since I have not exactly been very persistent with applying lotion nowadays. My skin pretty much looks fine and glowing still despite my not being able to keep up with my usual skin care regimen this past couple of weeks. And my skin, it’s like I applied lotion anyway. I no longer see some tell-tale signs of dry skin like before.